Guests to Newberry, Michigan can experience the thrill of Upper Peninsula Dog Racing or Newberry Sled Dog Tours. Our winter season delivers the perfect snow to get dog sledding and guests don't have to travel to Alaska to live this adventure. Whether you are a spectator, musher, pro or beginner, the Newberry Michigan region is a prime location for dog sledding opportunities and adventures. The Newberry area is home to The Tahquamenon Country Sled Dog Race every January. Come and experience the excitement of Sled Dog Racing from Professional classes to Amateur enthusiasts, and long distance to sprint events. We have it all! Many of our local Upper Michigan sled dog businesses and enthusiasts offer services so that guests to the Newberry area can experience a real Upper Michigan dogsledding adventure. Imagine the thrill of mushing a trained and experienced team of sled dogs. Dog sledding, a historic form of transportation is also a fun way to get out and enjoy the winter months. With more than 2,000 miles of dogsledding trails, 11,000 frozen inland lakes and a number of snow-covered national forests, Michigan is a great destination for a dog sledding adventure. Experience the rush and excitement as a pack of huskies pull us along the glistening Michigan winter landscape. Nature's Kennel is your Michigan's Premier Dog Sledding Destination. They offer year-round sled dog tours with overnight adventures, day trips and special event rides. 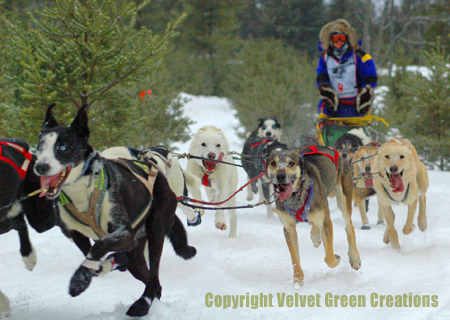 Nature’s Kennel also travels to various locations to race in world class events, such as the Iditarod. Along with their tours and racing, they also provide presentations and educations programs. Nature's Kennel is located north west of Newberry, MI. 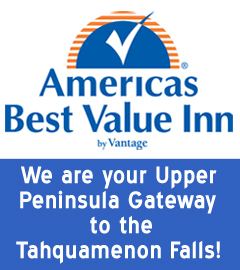 Visit their website at http://www.natureskennel.com or call for more information at 906-748-0513. *Do not bring pets to watch the race. A pet is a distraction to the sled dogs and could cause a driver to loose a race or result in harm to your pet. Sled dogs are athletes and need to concentrate on racing. *Do not stand on the trail. The leaders need to have an open path to see where they are going. *DO NOT feed the dogs. *Don't ask questions when the drivers are getting ready to race; they will be focused on the dogs. *Be careful where you walk: a driver has lines, harnesses,etc. out for the race and it is easy to trip on them. *Always ask permission to pet a dog: some dogs can be very hyper. Musher - the driver of the team. Mushers don't say "mush". They say "hike", "ready?" or "let's go".